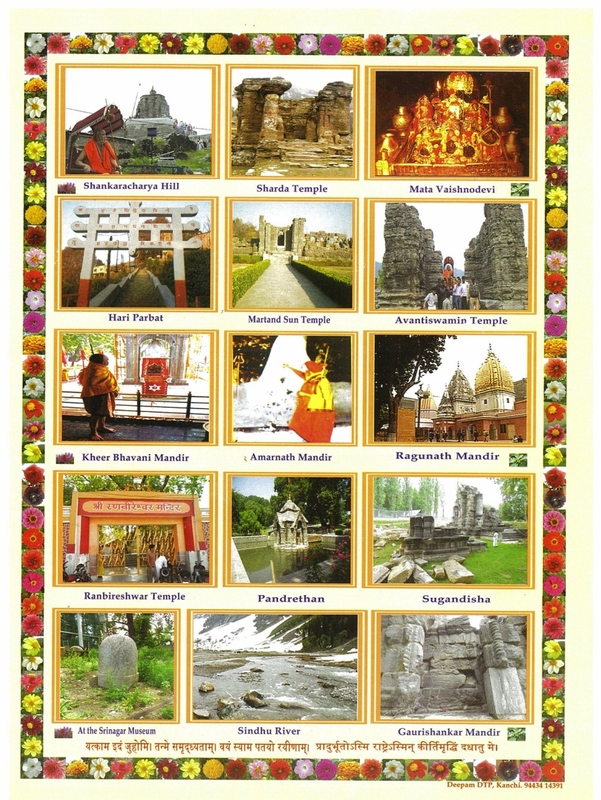 With the Benign Blessings of Their Holinesses Pujyasri Shankaracharya Swamijis of Shri Kanchi Kamakoti Peetham, Shankara Jayanthi Mahotsav will be celebrated at Srinagar, Kashmir, and Atharva Veda Sammelan will be conducted at Shankaracharya Hill, Srinagar, J&K from 17th April to 23rd April this year. 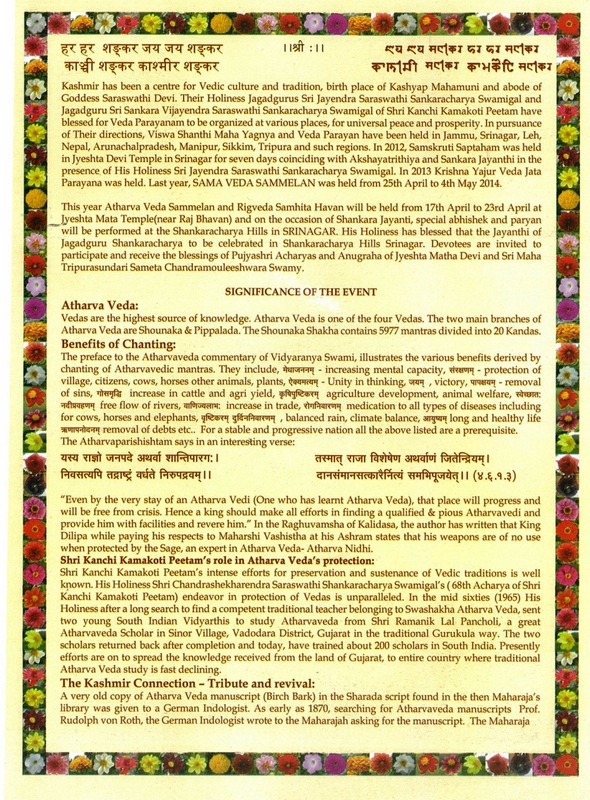 Rigveda Samhita Havan & Atharva Veda Parayana will be held. 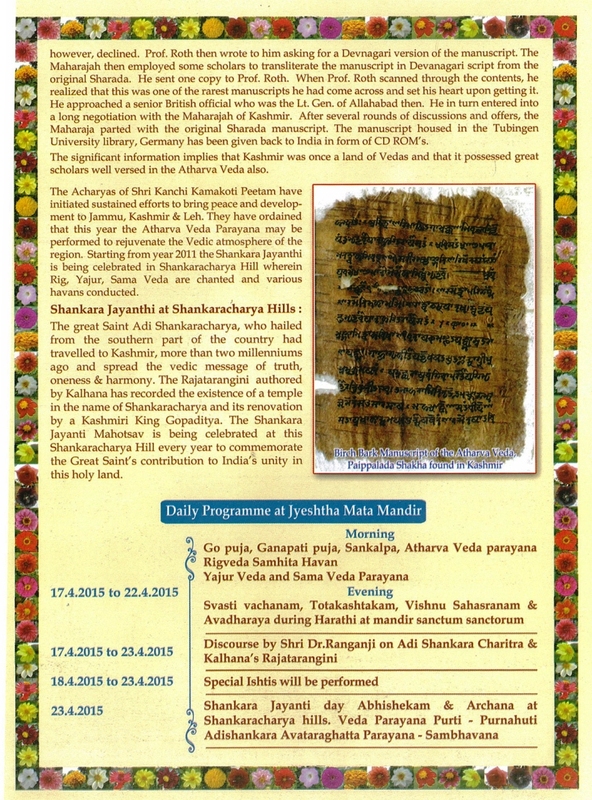 Programme will conclude on Sri Shankara Jayanti Day - Vaishakha Shukla Panchami - 23rd April. For further details pl contact Shri Balasubramanyam 09840056148 or 9840412086. 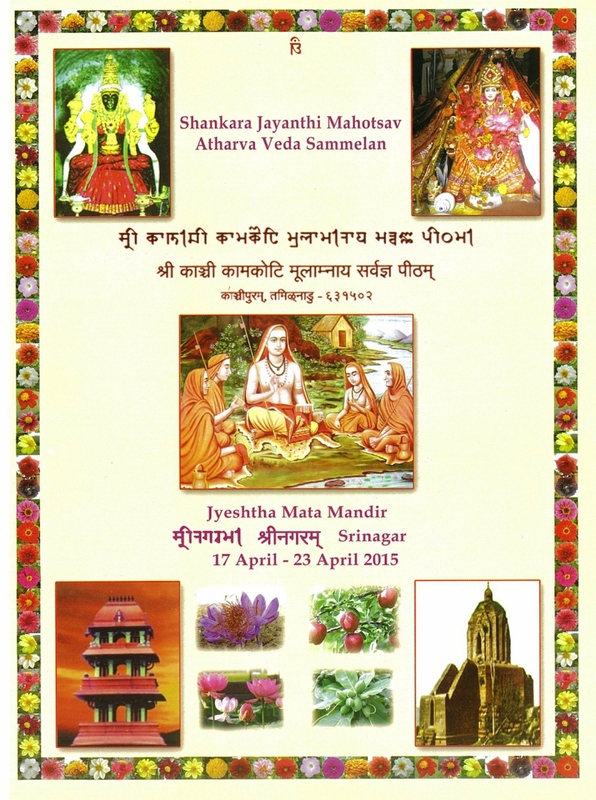 Devotees are invited to participate and receive the blessings of His Holiness and Anugraha of Jyeshtha Mata Devi and Sri Tripurasundari Sameta Chandramouleeshwaraswamy.